This is for a pretty basic reason: kids are out of school then. However, not every school district has the same break schedule. In 2018, as always, there’s more kids out the week between Christmas and New Year’s than before or after. Because of the Tuesday Christmas, there’s not a lot of kids out the week before Christmas. However, waits will build that week even so compared to earlier in December, as folks not worried about school breaks come then to try to beat the crowds later in the month. Crowds will be massive by December 22, 2018, and will be at their worst between 12/23/2018 and 1/1/2019. 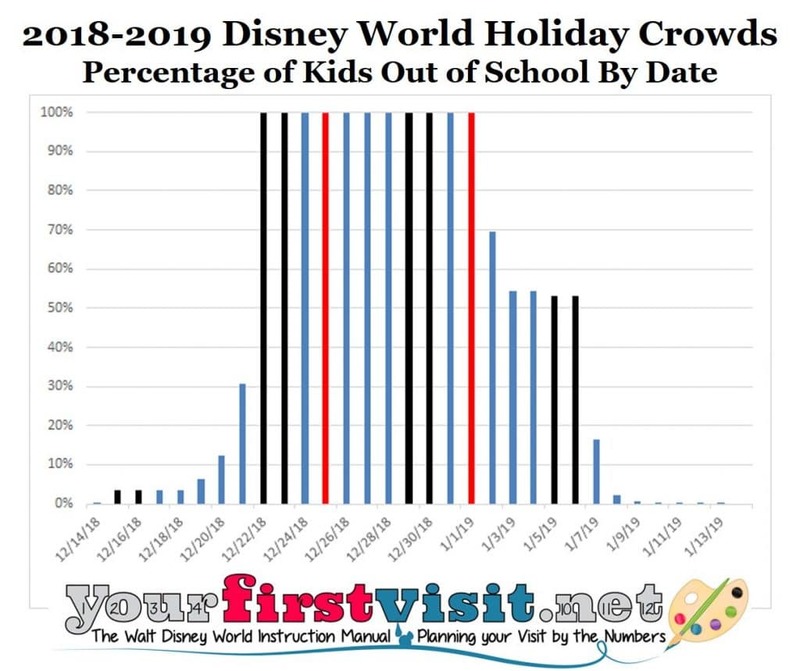 As in 2018, the week after New Years in 2019 has many kids on break, so I expect Disney World to be heavily crowded through January 6, 2019. In 2018, the Tuesday Christmas put long-break districts in the position having to pick when to schedule their second week–before Christmas weekend, or after New Years. Enough put it after New Year’s that I expect to see heavy crowds that week. My review of school breaks (explained more here), along with co-author Josh’s work on easyWDW.com. on waits, has not led to any material changes in my December 2018 or early January 2019 crowd forecasts. However in a minor change, I’d now expect the week beginning 12/1 to be a 3, not a 4, and the week beginning 12/8 to be a 4, and not a 3. As always this time of year, it is critical through December 21 to visit the right park on the right day, and this will be especially true the week beginning 12/15. Pick the right days to be in each park, and you will see moderate-minus crowds; pick the wrong days, and you will see high crowds. The chart above illuminates how 2018/2o19 holiday breaks work. It’s based on data from a weighted sample including more than 270 of the largest relevant US public school districts with almost a third–more than 15 million–of total US school kids included. You can see that breaks begin Friday the 14th. More kids go on break beginning the 19th, and by the 22nd everyone is on break. Pretty much everybody stays out of school through January 1, 2019, and while many go back to school January 2 or 3rd, more than 50% of US schoolkids remain on break through January 6, 2019. Over the period, I have crowds the weeks beginning 11/24, 12/1, and 12/8 in the low range. Crowds the week beginning 12/15 I have as moderate–if you are careful picking your days (or use my itinerary) you will see moderate-minus crowds, and if you pick bad days, you’ll see high crowds. 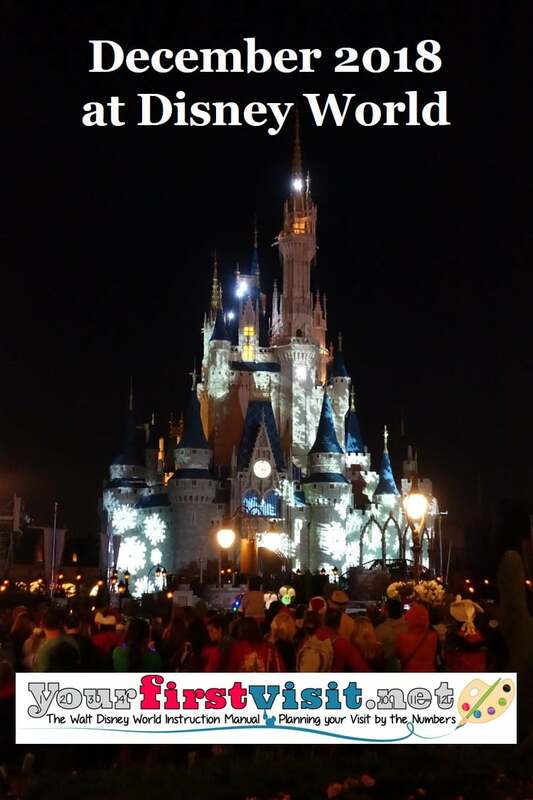 Disney World crowds will peak between Christmas and New Years. I have the week beginning 12/22 as having the highest crowds of the year, and the week beginning 12/29 as having high crowds–worse earlier in the week, a little better later in the week. 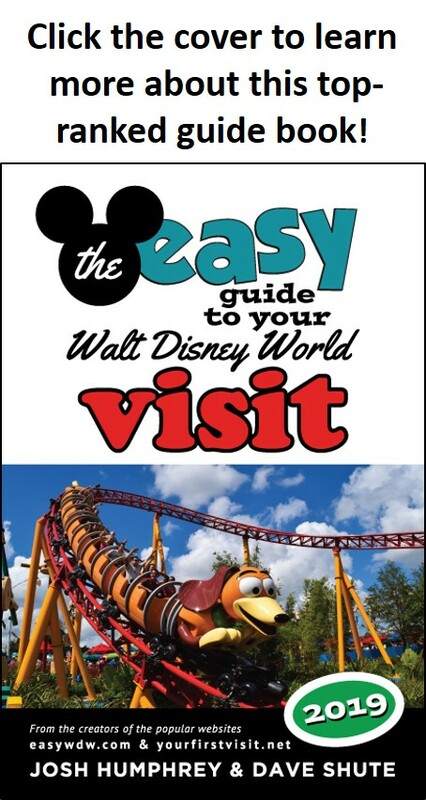 This page reviews December 2017 Walt Disney World crowds, prices, deals and discounts, weather, and operating hours; adds a few other notes; and ends with week by week summaries. 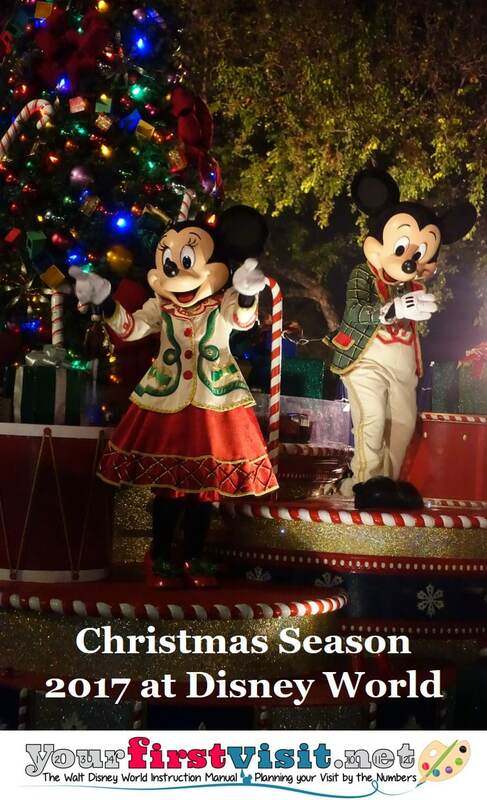 December also has a special party, Mickey’s Very Merry Christmas Party, a special evening event–with its own ticket–that has become a family tradition for many. 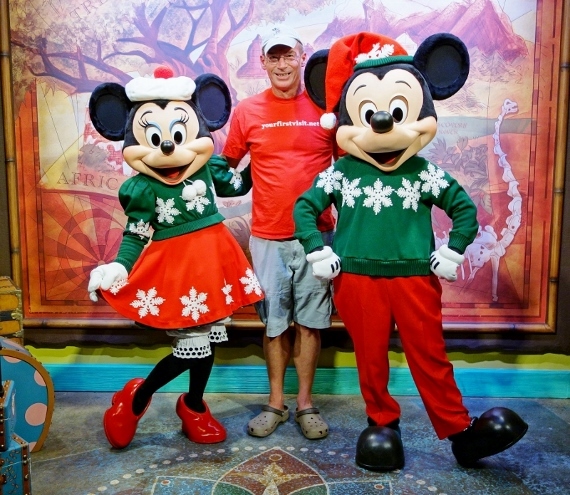 December crowds at Walt Disney World begin at lower levels. They will begin to build on 12/22, and by 12/24 will hit their highest levels of the year, where they will stay until about January 2, 2018. Crowds will still be high–though not at the holiday levels–through January 7. Prices increase 12/10, again 12/15, and again 12/22, ending at the highest levels of the year. Each of the parks has wonderful Christmas decorations, and the Magic Kingdom and Epcot (and likely Hollywood Studios) have special Christmas events, which will begin in early November at Magic Kingdom, mid-November at the Studios, and right after Thanksgiving at Epcot. At the Magic Kingdom, Mickey’s Very Merry Christmas Party—a special event that requires its own ticket—runs on many nights from November 8 through December 22nd. 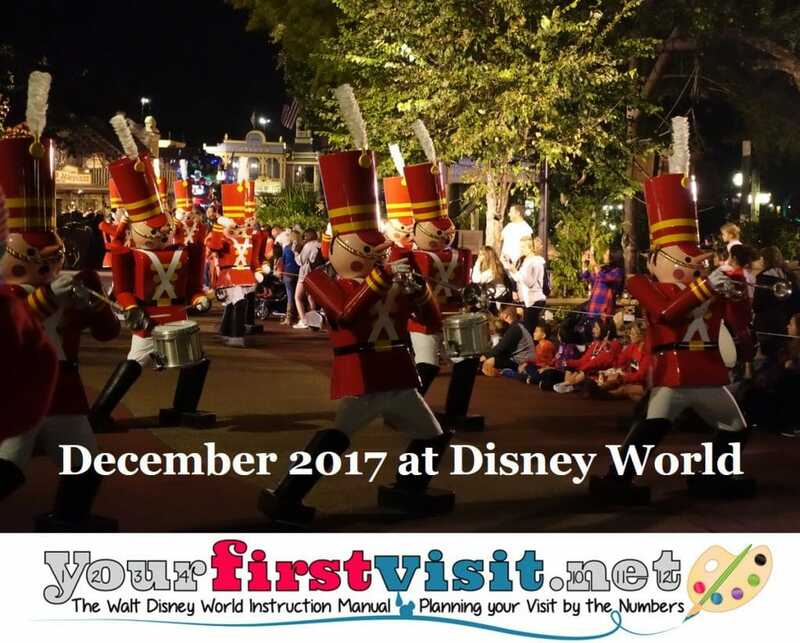 Later in December, its signature events—a special Christmas parade, and special Christmas fireworks—are available to all guests. Christmas decor is in place by the night of the first party–in 2017, November 8. 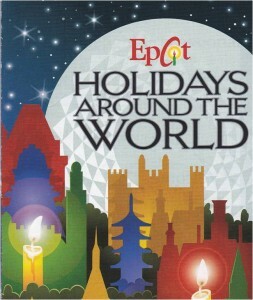 At Epcot, the evening fireworks show Illuminations has special Christmas additions. In addition, most nights Christmas carols are sung by massed choirs in the Candlelight Processional. 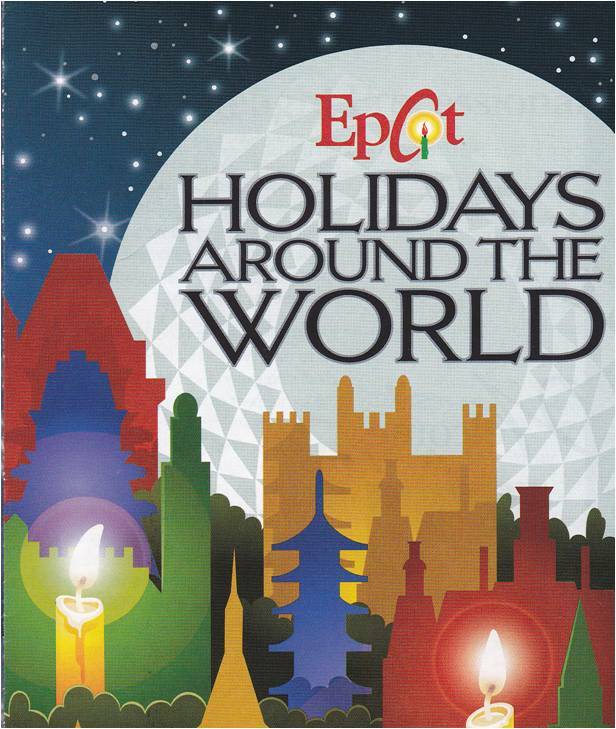 Many of the countries in Epcot’s World Showcase have special Christmas events as part of Epcot’s re-named Epcot International Festival of the Holidays. Epcot’s special events are fully in place the Friday after Thanksgiving–November 24 in 2017. 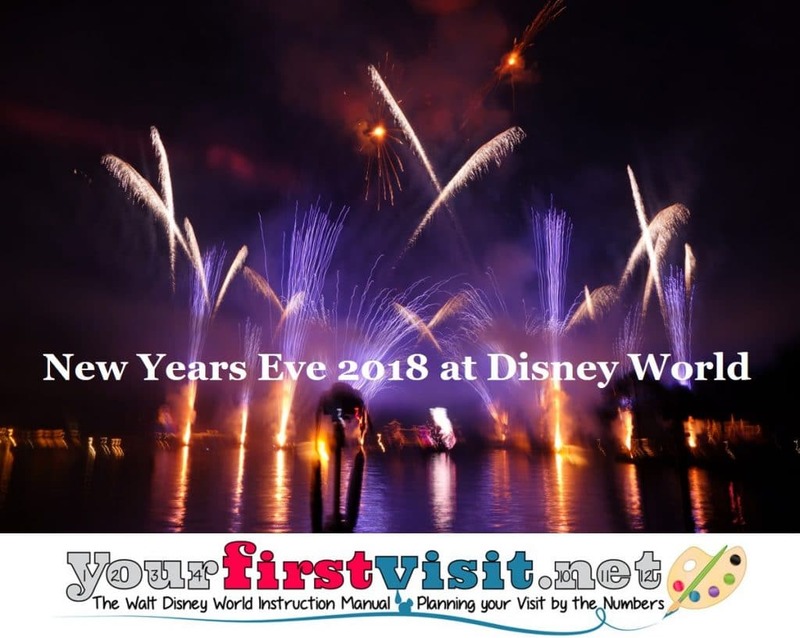 New Year’s Eve festivities have not yet been announced, but based on past practices will occur December 31, 2017 at Disney World’s Epcot, Magic Kingdom and Hollywood Studios theme parks, and also at the Magic Kingdom on December 30. The Animal Kingdom in the past has had no special New Years events, but may well in 2017. Epcot likely will have its Illuminations fireworks show at 6p and 11.40p, plus DJs in various pavilions. The Magic Kingdom likely will have the same fireworks at the same times on 12/30/17. This date will likely be a little less crowded than 12/31.